Welcome to our program and to our survey course in Instructional Technology. Let’s start with something different, the Commencement Address by Steve Jobs given 2005 at Stanford University and please pay attention to his story about “connecting the dots”. So, if you find us poking around in seemingly irrelevant topics over the next 3 years, you never know if it might give you a great idea down the road. It is the same thing as us requesting you to pay your tuition with Bitcoin. It is now accepted for payment at many universities and colleges. We say to you, learn something new, a new way to pay, a new banking technology. You might be able to use it in some way in the future. Now I want you to imagine something for me, or you can even write this doodle on a piece of paper: think of time as a line going from left to right, with your birthday on the far left, the current year (now 2016) in the middle, and a whole bunch more years following to the right. Now, draw a perpendicular line through 2016. As far as Instructional Technology is concerned, everything to the left of your line (older than 2016) is already out of date…Everything to the right of your line is unknown and you will be a participant in creating!! Another idea I like from Steve Jobs (who after all was never trained in any technology, but who influenced it more than anyone else in modern times): Everything around you that you think is Reality is just what others have created…you can contribute to a new reality or change the existing one. The actual quote was “Everything around you that you call life was made up by people that were no smarter than you and you can change it, you can influence it, you can build your own things that other people can use…Once you learn that, you’ll never be the same again”. So in a very roundabout way I am telling you do not expect us to give you some kind of “training” in the latest technology which will be out of date by the time you graduate. Rather, we are going to poke at some topics and hopefully show you how to approach this field, how to use some tools, how to think within the field. And something you may not be aware of is that the rapidly advancing field of instructional technology is proceeding hand in hand with developments in alternative, non-traditional education models. Better models for special needs students, better models for people with disabilities, better models for training employees. Traditional colleges and universities have tenured professors that have to go to class and teach. These institutions are not so interested in computer models of instruction wherein the professor is largely left out. And they are for sure not interested in mobile apps for education where one would not even need any campus. So, quite a lot is happening. 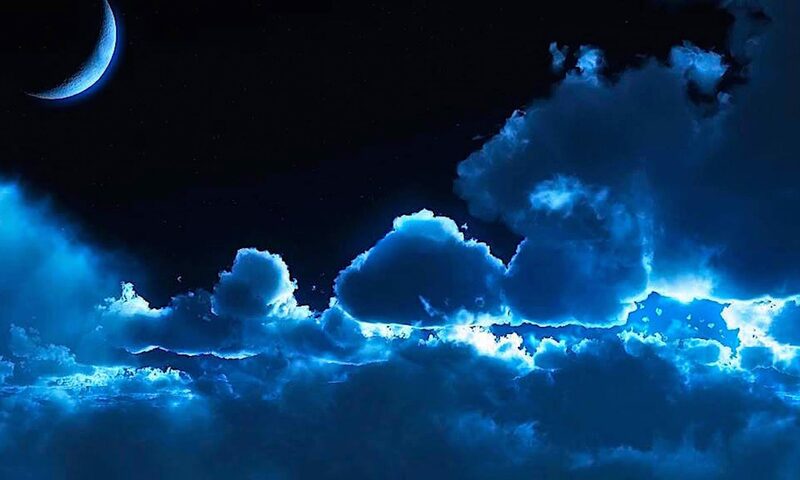 Today it is not what degrees you have, but rather, what you can do. Wow, this is tough. First of all, the terms “educational technology” and “instructional technology” tend to be used interchangebly. Some educators believe that Educational Technology has more to do with theoretical aspects of delivering education and not so much with technology. Others think that instructional technology is all about computers and computer science. Instructional Technology is the art and study of building a learning system and also building a feedback mechanism into the learning system in such a way that the system is sensitive to the dynamics of each individuals learning experience as well as the whole of everyones experience and is built in such a way that the system is ever improving in its effectiveness and delivery of the subject matter. “Educational technology is the effective use of technological tools in learning”. And his definition suits us here at Blue Marble University. And also he notes: “Educational technology is not restricted to high technology”. I am sure you have heard about Blackboard Learning System, one of the first learning content management systems. Maybe some of you are experts in it, or maybe some of you are using it right now. If you don’t recognise it, or need refreshing, click on the above Link. It was designed to change the typical classroom presentation of knowledge to totally online. Traditional colleges and universities embraced it and similar programs like Angel, as allowing them to move to an online learning environment and offer online classes for both campus based and non-campus based students. Still in wide use today, it requires an extensive learning curve. Professors must attend special courses before they can use it; likewise, students must have a learning program too. It became the “Windows” of instructional technology, which is to say, no one really liked it that much but it was all there was (and we spent so much money on it, we have to use it, it would cost too much to change). It is an old workhorse that has seen better days, although it is trying to stay current with mobile apps development. When we started our first school, our flagship Panama College of Cell Science in 2005, we of course considered Blackboard, but thought it was way too complicated. We began to spend all our time playing with how to implement Blackboard, and not enough time being creative with our courses. So we were so happy to stumble upon wordpress.com and to learn how it was being used to deliver course content online, particularly advanced by Duke University (USA). We were so proud of ourselves and roundly criticized Blackboard as being ineffective. Then Dr. Kelli Miller came along, and her input and encouragement led to our forming Blue Marble University 5 years later in 2010. Kelli was great and there would be no Blue Marble without her, that is a fact. 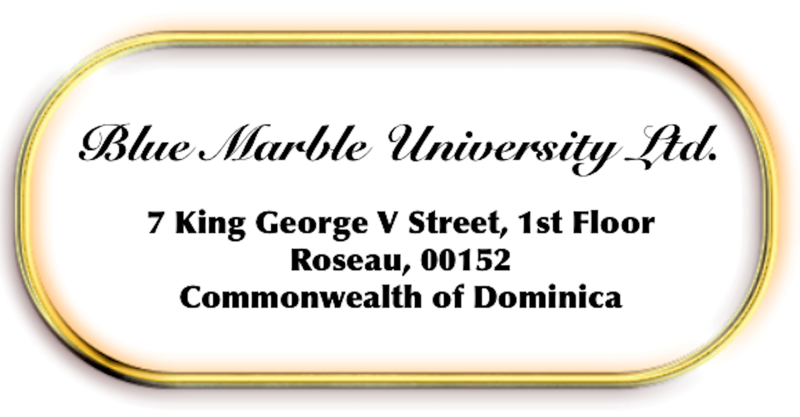 While not noted as a Founder, I consider her a founding member of Blue Marble University. She remains our Director of Education Programs. So, anyway, by 2010, we had become really sharp and created our Private Student Portal model for our students, the one you are using now. No learning curve, no courses to take about how to use it, the delivery and reception of course content just flowed naturally. We were full of ourselves in 2010, and smirked every time “Blackboard” was mentioned and revelled in how we had progressed. Now, in 2016, I don’t criticize Blackboard so much. 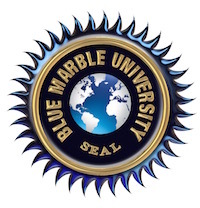 I realize that Blue Marble University needs updating. Mobile education apps are just about here, and we have to drop everything and create a Blue Marble University Education App. So we have to start working on development again. Only 5 years after we created what we think is one of the most elegant content management systems, we feel small and ineffective that we don’t have a mobile app ready to go for learning via smartphone! And so it goes in the instructional technology world. We will not spend much time teaching you how to use Blackboard. That is a passe, legacy application and any institution that is still using it (and there are many) is so far behind and most likely doesn’t want to change because of the immense investment made in implementing it. And if you happen to be looking for a job in education, I would sure recommend you avoid any institution still using Blackboard, as your career will be over. Unless they are hiring you to help create or implement a new learning system!! We have 5 job offerings from HigherEdJobs.com to illustrate what kinds of jobs are out there for Instructional Technologists. Please keep in mind that to better distinguish course and program design from the rest of instructional technology, the new title that seems to be catching on is: Instructional Designer, or having a background, degree, or training in Instructional Design and Technology. Please study these five job openings, which, for the most part are very flexible on your qualifications and credentials, and mostly emphasize the need for someone that knows how to do something! In this field, credentials are nothing…it is all about “What can you do for us to solve our education problem”, or “What can you do to help us create this kind of educational environment or system”. Note that not many employers needs anyone proficient in Blackboard. Institutions want someone who can handle the NEW stuff. HigherEdJobs.com lists about 1000 jobs in Instructional Technology disbursed among Curriculum Design, Instructional Technology and Design, Computer and Information Technology. We chose just a few that came up on the first page to illustrate the language of typical job openings without regard to whether PhD’s were required or whether these were particularly high paying middle level or senior level positions. That’s for you to do later. Job #4: Nichols College seeking an Academic Technologist. Note they say: “An Academic Technologist will work as a change agent” and they want someone with “In­ depth knowledge of current and cutting­ edge technologies used in the academic environment”. They throw in that they require any Bachelors degree, but what they really want is someone with: “Experience in the design, development, and evaluation of college level academic technology projects”. Job #5: Guilford Technical Community College looking for an E-learning Graphic Designer for Instructional Technology and Design. We threw this one in as an example of a place to avoid. They lead with wanting someone with a degree from a “regionally accredited postsecondary institution”. This little institution thinks it is part of a great old club (“regionally accredited college or university”), and in order to work for them, you have to be a member of the same club too. They are not looking for the best talent, they are looking for if you are part of the club. Even the United States government, and every single agency in it, accepts alternative education, non-traditional education, and foreign education, as potentially meeting education requirements for nearly every job high or low. Most States too. But not Guilford Technical Community College. In my opinion, if you work there, you will never fully blossom as an individual, and you will never be permitted to think outside of a very tiny box. Indeed.com, another good place to find positions, lists 14,000 jobs in Instructional Technology, 3600 jobs paying over $65,000, of which 1500 pay over $70,000, 150 over $90,000 and 80 over $105,000. And that is in the Midlevel jobs group. The point is that you will surely find a home for your skills that you will learn with us. They list only about 300 high-paying jobs requiring a PhD. Most want Masters Degrees because requiring a PhD really narrows an employer’s options. But get your foot in the door of any institution and you can own that department!! Even many medical schools are moving to totally online education for the first two years of non-clinical course work. We know because we researched it for our Medical School. So what is happening? My friend and colleague Dr. Kelli Miller (our Director of Education Programs) once told me “I can teach any subject”. I said, what are you talking about, you don’t know anything about quantum mechanics, electrical engineering and so forth. She said: “Not a problem, you just break up a subject into very small parts that are understandable, and you can teach it”. In contrast, I remembered one PhD Instructor applicant we had for our Applied Biology PhD program. Holding a PhD in Biology, he was shocked that we would require him to teach every course in the program. “I only feel comfortable teaching these three courses”. Wow, I thought, all the courses involve “biology” after all. And I remembered what Kelli told me. Our instructors are educators that have to do more than just teach what they know. They serve as student mentors and facilitators of education. Their primary mission is to guide the student throughout the entire program, find resources, find people with specialized skills that may be interested to take one or more students as interns. They have to teach how to solve problems. In many respects, what we require from our instructors may be more difficult than what they are used to, because they will also be learning along the way where to find information, how to put it together, how to gain useful concepts. And then they have to impart these mental exercises to the students. But then if you look at the revolutionary Khan Academy website (www.khanacademy.org), with their amazing motto: “You can learn anything”, one realizes that we are really leaving the idea of “teaching” behind altogether and entering the era of “self-education”. And obviously, this is not what traditional colleges and universities are all about. They really do not want to hear about self-education, that is way too scary for them. So what we are now seeing is a major change in education occurring in which alternative education platforms are being experimented with, and non-traditional colleges and universities are forming or adapting to this new way of thinking. What I am saying is that self-education requires different educational entities and different delivery of educational content. So the flip side of teachers being mentors and guides is that students must educate themselves using teachers as facilitators of education and not the “I talk-you listen” format we have had for so long. One more idea I would like to leave with you. It is not always the latest technology or latest learning platforms that you need. Many times, old low tech, used masterfully, can get the job done very well. As an illustration, I am sure that none of you know any one thing about oil drilling, capping a well head, or oil rigs. Not one thing. Me too. But here is an instructional 9 minute video about installing a well head from our Petroleum Engineering program that I want you to view a couple of times. If you are fair with yourself, you have got to think: I learned some important things from that video. And in only 9 minutes. The latest technology is not always the best technology! The delivery of good education is just as much an art and a craft as is knowing the latest tech tools. So as you enter our 3 year online program in Instructional Technology… just remember the dots. Our goal is to guide you toward what is going on in the field of Instructional Technology. And if we leave something out that interests you, or you want to dig into something in more depth, that is what your dissertation is for. All our best wishes for success in our program and in your lives. We Know Online Education…And We Do It Well! !